From the mixed flours, scoop out 1/3 cup and set aside. Now you have the 1 2/3 cup needed for the recipe. The cornstarch will give that crunch that will make the cookies melt-in-your-mouth! Cream butter and sugar until light and fluffy- about three minutes . Fast Forward and here are my babies baking in the oven at 375 degrees F.
And then they're ready after 25 minutes just because they are big- about the size of golf balls in their dough form. You can make them smaller which will bake sooner. Always use a toothpick to test for done-ness. Hmm that light and crispy exterior with the dreamy melt-in-your-mouth feel and the creamy and delicious surprise in the middle that never gets old. What more can your picky heart ask for? It's the same recipe with just a minor tweak on the flour mix. So simple and easy and don't forget to store in an airtight container with a slice of white bread to maintain its freshness and texture. Put the confectioners' sugar into a bowl and set aside. Cream together the butter and sugar until light and fluffy, about 3 minutes. Add the eggs 1 at a time. Then beat in the buttermilk, vanilla and red food coloring. Turn off the mixer and add the flour mixture. Beat on low speed just until blended. It's amazing and a huge surprise how my simple recipe has become my most popular and easily edging my Red Velvet Waffles. Well-meaning friends told me I could have sold my recipe somewhere but I'm just happy to share it with anyone who loves creating delicious treats from scratch. And just remember- the cream cheese filling started in my kitchen. Finally! I love it when my readers sort or break their silence. I am most happy to oblige and respond to every query. I updated my post and included the whole recipe. The dough actually softens fast that's why you have to work fast at forming and filling the balls and just drop them right away to your bowl with powdered sugar. Adjust your oven racks so you can use two at the same time. If not, just bake in batches and put the remaining dough back into the fridge to chill while baking the first batch. I really want you to succeed because this is a good recipe and I would love for you to enjoy it. I went through your questions again and realized I didn't answer the one re: oven temperature. When you preheat the oven to whatever temperature you need- you have to wait till it reads as such before starting or placing your pans inside the oven. I would preheat it while prepping the balls so it's ready by the time you're done. If it beeps before you're done prepping- just ignore it. That makes the oven hot enough. No problem! I hope you'll nail it this time. Smile and happy baking! Hi faye. Tried this today in smaller size. But it flattened and got crispy like a cookie :( i adjust baking time at 8-10min bec of the size. You think what went wrong? Hello Sanny! First off, don't feel bad because these are cookies to begin with and they really flatten as they bake but not totally flat. The main culprit can only be the temperature of your dough. 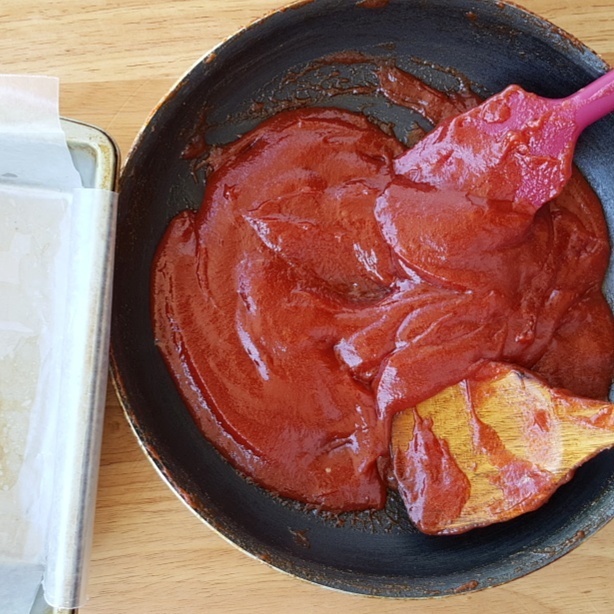 It will spread or flatten more than you want it to when the dough is warm hence the dough is chilled before rolling and rolling and filling should be really fast to. If you are baking in batches, do not use the same pan while it is still warm because that softens the dough right away. Do not grease your pan- just line it with parchment paper if you don't have silpat mat. It works for me to cream the butter and sugar until fluffy but for you, beat them just until combined. Your cookies should be crispy outside but chewy soft inside. I hope these tips help. You're welcome! That crunch on the outside gives that mel-in-your-mouth factor and then leaving that little chewy soft inside with the cream cheese. hi! do you have a suggestion on where i can use the leftover flour & cornstarch mixture? i would really hate to waste that. is there a way to produce that without having leftovers? thanks! You can save that 1/3 cup of flour for your next batch of cookies or to dredge your fish or meat for pan frying. Or you can just simply mix together 1-1/3 cup apf with 1/3 cup cornstarch to yield the exact 1-2/3 cup flour requirement. hi faye! i've been following your food posts on soompi and I finally started reading directly from you blog instead! I was wondering how you placed the cream cheese in the crinkles? did you just make an indent and pushed the cheese in? thanks! Hello! If you will go back to my original Red Velvet Crinkle Cookies (just click on popular posts) you will see the picture of how it's done. It's like making stuffed meatballs. Make a ball then press it gently just to create a hollow in the middle so you can place your cream cheese then fold the sides over to make it into a ball. This you should do quickly because the dough softens fast and with warm hands. If you feel your dough is softening, stick the bowl into the freezer just to firm it up but still pliable. I hope that helps and you're welcome! Can I just use margarine instead? thanks. I'm an unsalted butter user for taste and because it's healthier and haven't tried using margarine but if you really don't have butter, just make sure to use the type suitable for baking. Do not use the spread type because it has more water content which will affect the texture of your cookies. hi how many cookies did you make and if i ref my filling for future use, how long i can i do that? It depends on the size of your cookies. If you make them bigger then you get less but the recipe should yield 18-20 cookies. The filling is plain cream cheese with nothing added so it could last longer in the fridge.